The last two decades have seen extraordinary rollouts in auto innovation designed to make getting around easier and safer. And it’s not about to slow down. Thanks to the invention of in-car Wi-Fi, tedious road trips have become a thing of the past. Passengers can connect their devices to stream music, access enhanced maps and tap into live traffic updates. 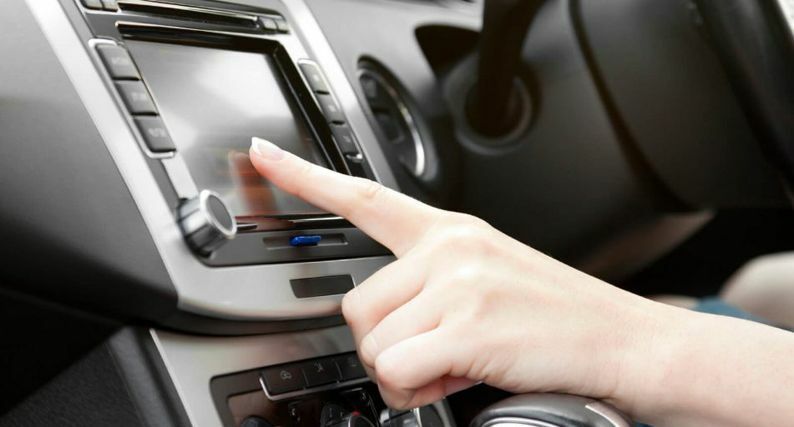 In-car Wi-Fi was first introduced by Audi as a built-in, luxury component in 2011. Now, many new cars come with a hotspot option. Drivers can choose a prepaid or ongoing plan, which are priced according to usage. Eating in our cars is a part of life, and with kids, the mess is a given. Thanks to the introduction of the one and only, built-in HondaVAC in 2014, you can now clean your vehicle anywhere you are, without depending on the petrol station. Through a partnership with the creators of Shop-Vac, Honda outfitted its Odyssey Touring Elite minivan with a vacuum cleaner, three-metre hose, replacement filter, canister bag and nozzle accessories. With the ability to clean every corner of the van, the vacuum operates while the engine is on and can continue running for up to eight minutes after the engine is switched off. Crumbs don’t stand a chance. Currently, the Odyssey Touring Elite is the only company with this practical feature. Arguably, it’s only a matter of time before other automakers follow this family-friendly brand. Ford autos were the first to implement this life-saving technology, followed by its family’s higher-end brands, Volvo, Jaguar and Mazda. Mid-range carmakers Nissan and Hyundai have since followed suit. Automatic lane keeping cruised onto the market in 2014: a system of cameras and sensors that ‘watch’ the road ahead. Many car accidents are the result of human exhaustion causing drivers to weave where they shouldn’t. Fortunately, automatic lane keeping cruised onto the market in 2014: a system of cameras and sensors that ‘watch’ the road ahead and automatically turn a steering wheel to keep your car in its rightful lane. Debuting in luxury brands Infiniti and Mercedes, this safety development hopes to be an improvement from the lane departure system — a series of vibrations or sounds to notify you — launched by Citroen in 2005. Where would we be without GPS? Well… lost, for starters. This ingenious gadget accesses the readings of orbiting satellites to figure out your location and then directs you to your destination. And that’s only the beginning. Not only can they now be installed in any car, but many feature enhanced maps (3-D in premium models); voice-activated, turn-by-turn directions; automatic reroute for wrong turns; live traffic coverage and lifetime map updates, which allow you keep current on each year’s map changes; and of course all without referencing your phone. We’re supposed to check our car’s tyres regularly to ensure there’s enough air, but the chore isn’t always top-of-mind. Thankfully, the ‘Halo’ – which helps tyres to self-inflate – rolled out in 2014. An innovation of engineering company, Aperia, the ‘Halo’ device is bolted into the centre of the wheel. Using an internal sensor, it’s able to detect when the air pressure is low and when it is, an inner pump immediately sends air into the tyre. If there’s a red light ahead and the car is going too fast, you’ll be sent a message and the car will stop you from crashing into the intersection. The life-threatening issue of side-impact collisions and rollovers was given a promising solution in 2011 when GM designed the industry’s first front centre airbag. This inflatable restraint acts as an energy-absorbing cushion between the driver and front-seat passenger. General Motors’ GMC Acadia, Buick Enclave and Chevrolet Traverse SUVs were among the first to introduce the technology in 2013. Backing out of a parking space is always a bit of a challenge, especially knowing cars can approach out of nowhere. Thankfully, Chrysler proposed a collision-preventing solution in 2009, when it rolled out the Cross Path Detection System — the first rear-positioned radar that could spot approaching cross-traffic. Paired with outer mirror alarm indicators, this watchful technology sounds an alert when it sees a vehicle approaching while you’re backing up. Ford followed Chrysler’s lead in 2010, with its Cross Traffic Alert system (also with mirror alarms) in mid-range Fusion and Mercury Milan sedans. Ah, the joys of parallel parking: Finding that rockstar space, then the back-and-forth struggle to get your car into it. Fortunately, luxury car Lexus recognised drivers’ need for a sanity saver by introducing self-parking in 2006. Toyota, Volkswagen and BMW have since added this fabulous feature, which uses front and rear bumper sensors, bumper-mounted cameras or radar to identify other parked vehicles, the size of the parking space and distance to the curb. The car’s computer then responds by turning the steering wheel to manoeuvre the car into the spot. The driver still controls the speed of the parking, but the chore is certainly made a whole lot easier. If you enjoyed this read, check out our article called The Evolution Of Car Safety – Top 10 Features. It discusses how cars have been redesigned over time to improve driver, passenger and pedestrian safety. To find the car insurance that is right for you, be sure to get a quote with Budget Direct.